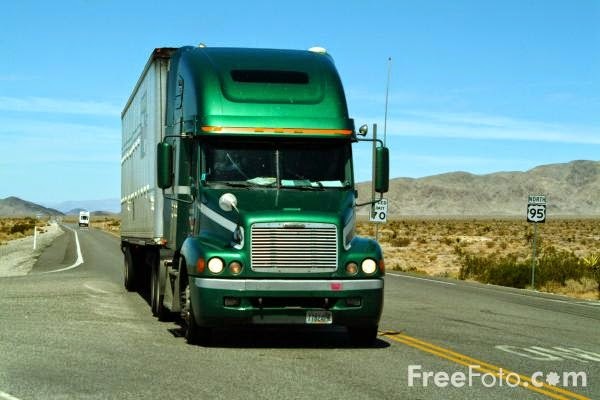 Truckers face a lot of pressure on the road. They have deadlines to meet and customers to greet. But, that pressure can be deflated by tire problems - and that’s not the kind of deflation truckers want or need. Under-inflation costs the trucking industry some $2,200 per year per truck. And, that doesn’t include the lost fuel due to rolling resistance inefficiencies. Here’s where a new technology can help. The Aperia Halo is an ingenious device that attaches to the center of the truck’s wheel Inside of it is a pump that captures energy from a pendulum that swings inside, synchronized to the wheel’s rotation. It’s that tire rotation that produces the pumping action that inflates the tires when needed. An internal sensor detects tire pressure to ensure that tires are always inflated to the proper pressure. The Federal Motor Carrier Safety Administration has previously reported that more than half of all truck tires are underinflated, driving up maintenance costs by at least 10 percent. Each system that’s attached to a tire is good for about 500,000 miles, meaning that trucking companies can greatly reduce their tire-related costs. Aperia Halo isn’t the only device on the market that helps inflate tires when they’re low. Other systems attach differently, are located behind the tire, or use the axle as the source of the air and pressure. But, in all cases, these systems help to reduce the regular maintenance on the trucks as they make cross-country journeys. Truckers don’t have to stop to check tire pressure, they won’t suffer as many blowouts, and they won’t be stuck on the side of the road for hours waiting for a tow truck or replacing the tire. That means trucking companies can make more shipments on time, save more money on overstock, and save money on additional pay for non-productive work by truckers. Another benefit of these tire pressure monitoring and autofill systems is that they reduce the risk of accidents. When a truck is on the road, there’s always the risk that an underinflated tire will blow out. Attorneys, like Keith Kofsky, see this kind of thing all the time. Accidents happen, and that’s also how accident and injury lawsuits happen. Trucking companies can save themselves potentially hundreds of thousands, if not millions of dollars, with a simple tire-inflating device. With all of the benefits, what’s not to love? Well, one of the disadvantages of these systems is that they do not take air out of the tire. If tires are inflated, and the truck’s elevation or temperature changes (as it’s traveling through different states), the tires may end up becoming overinflated as the PSI increases due to heat generated inside of the tire. This usually results in a 2 PSI increase for every 10-degree change in temperature. The cost-benefit discussion is an important one to have. But, on the whole, it’s usually worth the additional cost. Since trucking companies spend thousands of dollars per truck right now on tire inflation problems, upgrading the system immediately will permanently and immediately end those additional costs. Keith Kofsky, Esq, has advocated for the victims of auto accidents for over 30 years. One of his goals is to educate people to help them drive safely. You can find his helpful articles on many websites online.